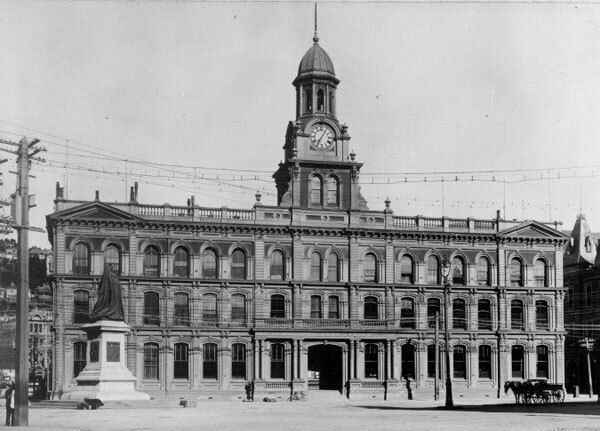 On 26 July, wireless station NZW opened at the Chief Post Office in Wellington. 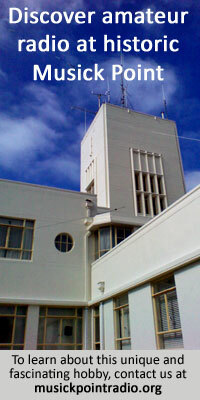 It was New Zealand’s first official wireless station (amateur radio operators were already on the air). 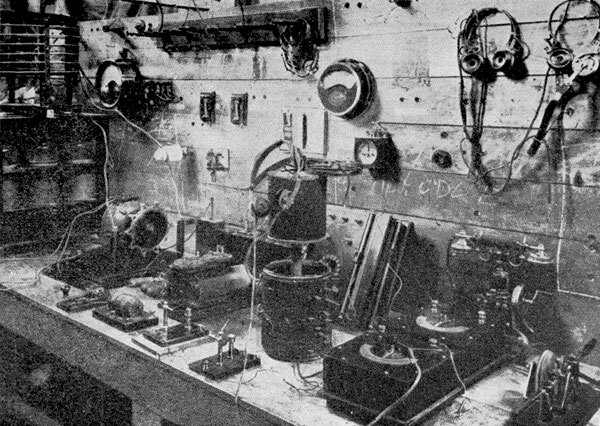 1911: The operating position at wireless station NZW in the Chief Post Office, Wellington. The original location was not intended to be permanent. Three months before NZW went on the air, the Government announced it would acquire land in a much better location on the Tinakori Hills. Construction of the new station was underway by the end of the year. On 6 July, NZW changed to VLW under a new international agreement on callsign allocation. On 14 October, an official opening ceremony was held at the Mt Etako (Tinakori Hills) site, 985 ft above sea level, and the station went into continuous operation from that day. Power was supplied from an extension to the city’s electricity grid. 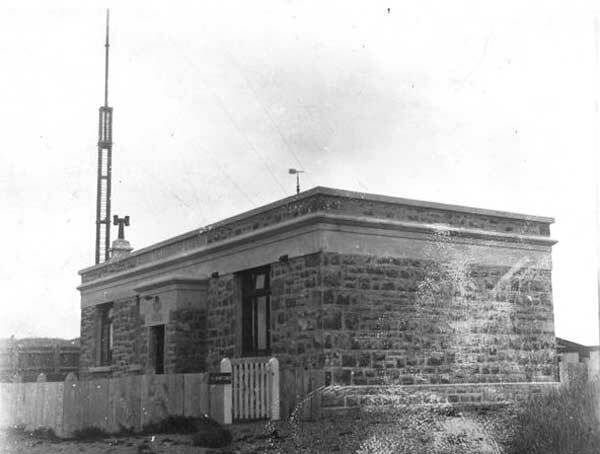 The temporary 1.5kW station at the Wellington Post Office was dismantled and sent to the Chatham Islands. Clive Drummond – later to achieve fame as one of New Zealand’s radio broadcasting pioneers – joined Wellington Radio as a radio operator. At night signals are exchanged with vessels within a radius of 600 to 1000 miles, according to the varying atmospheric conditions, and almost nightly with some of the Australian stations. Telephone and telegraph wires between the station and the city facilitate the prompt handling of messages. The aerial, which is supported by two masts of Oregon pine, 150 feet high and about 300 feet apart, is of the flat-top type, and is composed of four phosphor-bronze wires four feet apart. From the middle of the aerial four wires extend downward to the building. The earth connection consists of 300 copper wires, radiating about 300 feet from the station, situated midway between the masts. The ground is of rocky formation, with irregular surface. The results obtained from the working of the station have exceeded expectations. 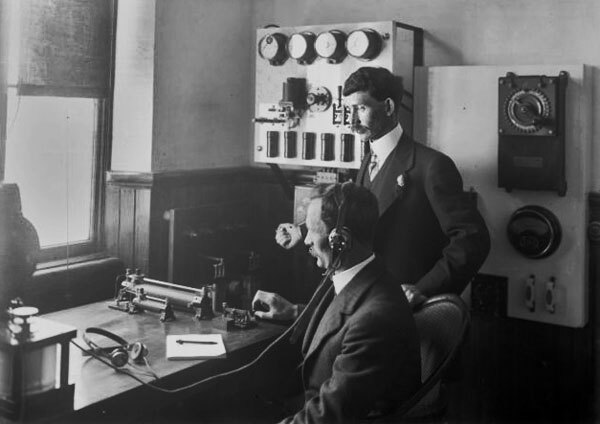 Early in the First World War [Wellington Radio operator Clive Drummond] intercepted a message between two German naval ships in the Pacific which, when decoded in Melbourne, led the authorities to delay the sailing of the main body of the New Zealand Expeditionary Force. Wireless weather forecasts which were discontinued at the commencement of the war have been resumed during the year, and are sent out through the radio stations at Awanui, Wellington, and Awarua on the usual reporting nights, and at other times when deemed necessary. The native trees that have been planted on the 30-acre site of the Wellington radio-station on Mount Wakefield are doing well, and giving promise that in a few years they will relieve the denuded aspect that prevails at present. Improved methods of detecting signals by means of the ultraudion were introduced at Awarua, Wellington, and Auckland a few months ago, and apparatus for the other stations has been procured and will shortly be brought into use. The results obtained at Awarua, where the apparatus has been extensively experimented with, have been particularly gratifying. The signals of stations using damped and undamped waves invariably come in of readable strength from American, Asiatic and European stations. 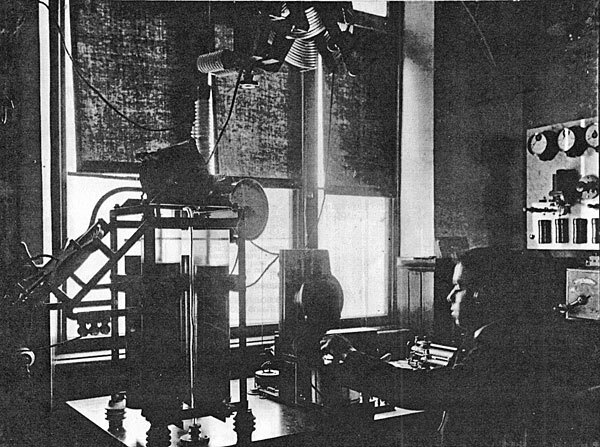 The use of this detecting-apparatus with a particular combination of the receiving-circuits has demonstrated that daylight signals from stations using the ordinary wave-lengths can be rendered plainly audible, which by the ordinary methods and the use of the crystal detector could not be heard.